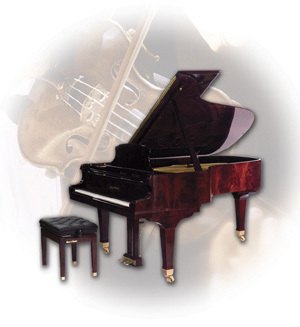 Founded in 1854, Mason & Hamlin is one of America’s oldest and most respected piano manufacturers. Of the hundreds of American piano companies that flourished in the late 19th and early 20th centuries, Mason & Hamlin is one of only two that survive today. 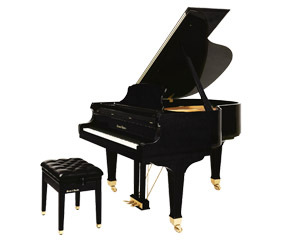 Attention to detail takes time, and Mason & Hamlin invests a great deal of it in every piano it makes. Before a Mason & Hamlin leaves the factory, it’s inspected no fewer than 12 times. 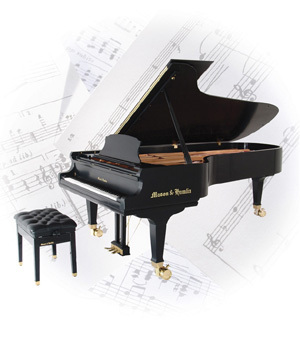 Choosing quality over quantity, Mason & Hamlin limits its annual production to 50 uprights and 300 grand pianos. Mason & Hamlin is a forward-thinking company that invests time and millions of dollars in creating its products. But along with its eye to the future is one trained on the past. That’s why the factory’s top floor showroom will one day house the Mason & Hamlin Museum, where vintage instruments, artifacts and memorabilia will be on display to the public. The museum and creation of the Mason & Hamlin Historical Preservation Society are just two ways the company is honoring its long and illustrious history. Richard Gertz can and should be considered the greatest forebearer of the American piano. 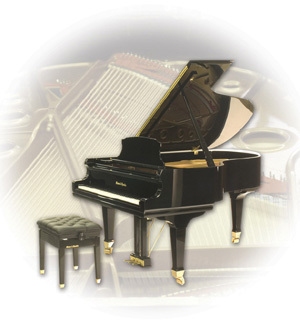 He came from a long line of musicians and was trained as a piano builder under the guidance of some of the world’s finest piano makers including the masters at Blüthner and Bösendorfer in Germany. 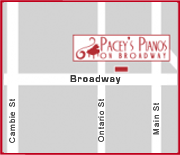 Upon arriving in America, he began working for Steinway innovating and adding significantly to the rich tones of the Steinway grands. After returning to Germany for several years, Mason & Hamlin recruited him and recognizing his unique talents gave him considerable freedom in the creating their new scales. 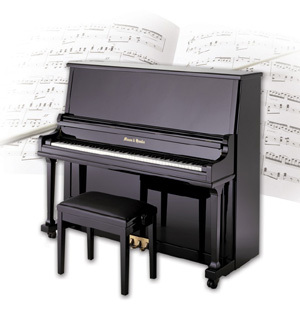 Richard was so successful, he was invited to become a shareholder and consequently developed some of the most advanced features piano technology had ever seen; technology that even today is lightyears ahead of the competition. It is thanks to Richard Gertz that the Mason & Hamlin of today has its signature tension resonator, is aliquots, and its unique tonal quality. 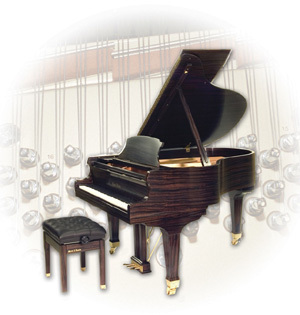 How a Mason & Hamlin piano is built.